Librarian for Life and Style chose her first inspiration artwork of the year: lace design manual woodcuts by Isabella Catanea Parasole (1565-1625). Click through to check out many more images of the artists work at the Met! I happened to wear this old lace jacket blazer thing earlier in the month and I had even taken a glamorous office bathroom mirror picture to show a few friends who were with me when I bought it at a TJ Maxx or similar store on vacation in Park City, UT several years ago. I recreated the outfit for my art interpretation. I attempted a better mirror picture when I remembered the deadline last minute and that was my only option. After the photo I realized the gray and white blocks on my quilt design board behind me are a subtle nod to the needlework design manual that the inspiration art was pulled from. And hey look, this is my 1000th post! Maybe this can make up for missing 100,000 miles on my car. I noticed it with two miles to go, forgot within seconds, and looked again at 100,002. January 30, 2017. Tags: black & white, clothes, Lace, Style Imitating Art, Target, What I Wore to Work Today. Links, Words. 2 comments. I made a new set of 8 cloth napkins. 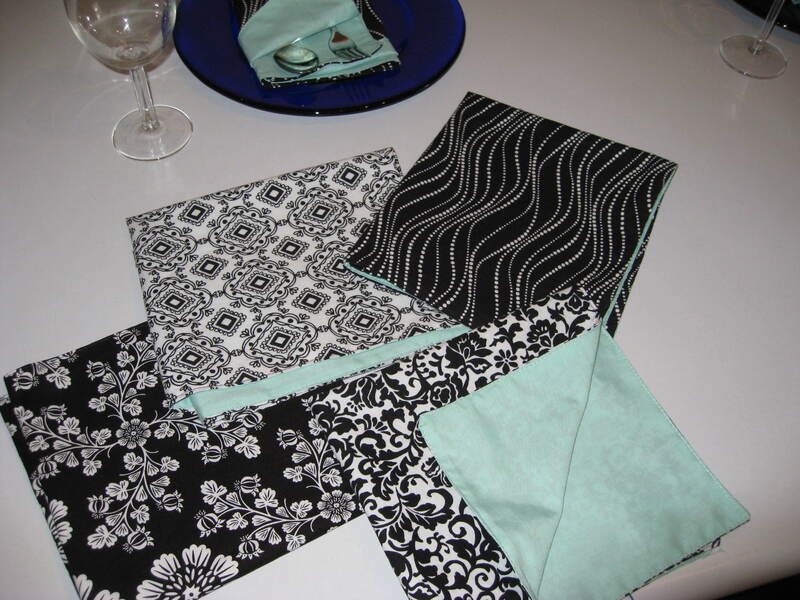 I told my gentleman suitor to choose four black and white fabrics and a solid color for the other side (the solid was limited to the less expensive, 100% cotton collection at Joann Fabrics). I had originally been picturing a deep red and was surprised he chose a muted sea foam green. 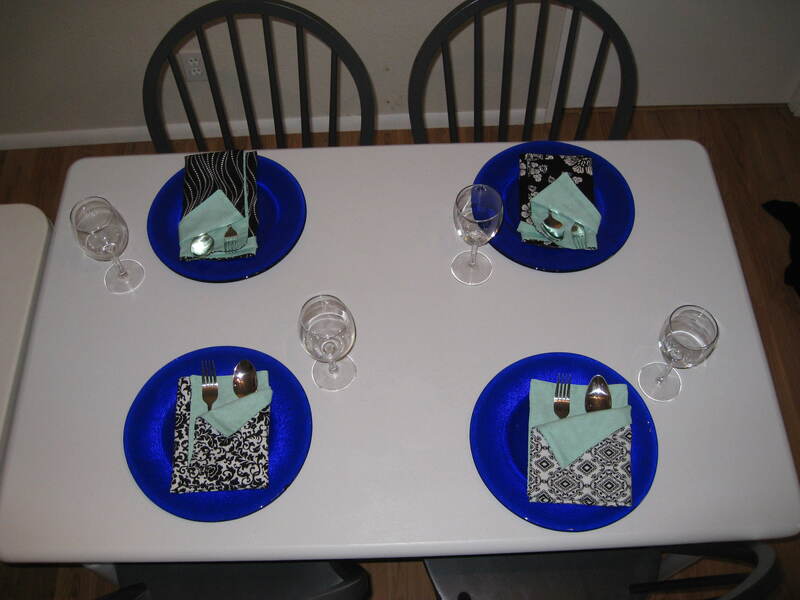 I asked what he thought of the finished product and he said, “I won’t be embarrassed to use these at a dinner party with friends, unlike those other ones.” He was talking about the floral napkins I made last summer. These new ones are much classier. January 16, 2010. Tags: black & white, completed project, napkin. Pictures, Projects, Words. 3 comments.